This was shot 4 days after the menhendi was put on Vini's hands. The mehendi was washed off after a couple of hours and this what it looks like. The colours fade away slowly over the days. The left hand (palm up) has peacock motifs on the palm & the wrist. 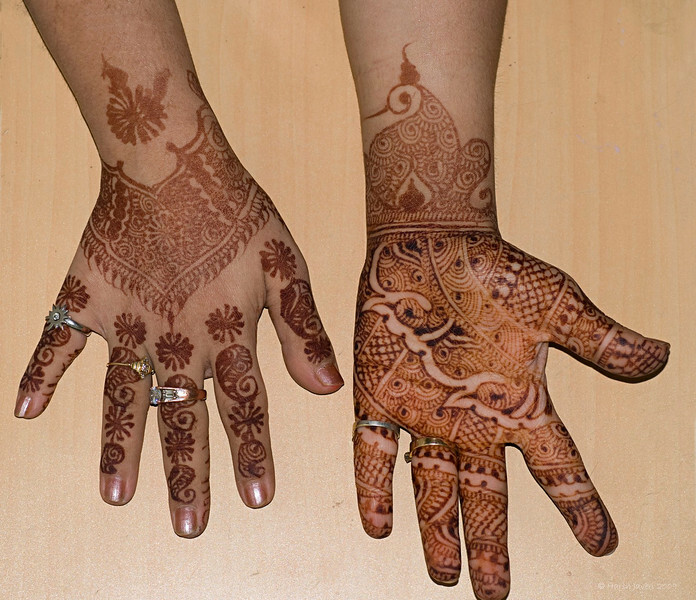 The designs on the knuckles of the other hand are mango motifs. Exquisite detail & capture - well done! Incredible artwork! Great presentation and exposure! wonderful shot of wonderful work.